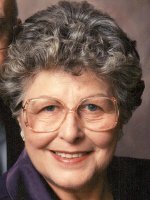 ALBANY – Alice Mary Cariseo passed into the loving arms of God on February 5, 2013, at St. Peter’s Community Hospice. She was 87 years old. Alice most recently lived at Daughters of Sarah Nursing Center, Albany. She was born in Catskill on January 30, 1926, the daughter of Nora Stoly Kozloski and Frank S. Kozloski, Sr.
Alice was an intelligent, warm and gracious person who loved her family. She grew up on a family farm in Athens in the days of wood-fired stoves and before rural electrification and television. She learned crocheting, sewing, canning, baking and a love of animals. Until her parents’ deaths, the farm remained a gathering place where her family, siblings, their spouses and children and friends spent numerous Sundays. She graduated with honors from St. Patrick’s Academy, Catskill, in 1943. She was married for 55 years to Patsy D. Cariseo, originally of Hudson. Alice and Patsy raised their children in Catskill where she worked for Beneficial Finance, and New York State Division of Employment for 10 years. She was active in the ladies auxiliaries of the Elks and Lions clubs. Alice was an avid gardener and crocheter. She enjoyed bowling, mystery novels, crossword puzzles, bingo, bird watching, and collecting tea cups and angel figurines. She was an immaculate housekeeper and a meticulous dresser. Alice was proud of her twin grandsons and closely followed their education, sports endeavors and professional careers throughout grade school, Christian Brothers Academy and their college years. Alice and her husband moved to Guilderland in 1988. She was a volunteer for Community Caregivers, and a member of Christ the King Roman Catholic Church. She is survived by a son, Patrick F. Cariseo, Washington, DC; daughter, Barbara J. Moss and son-in-law, Kevin A. Moss, Altamont; daughter, Mary Ellen Cariseo and her close friend, Gene Angle, Haines Falls; two grandsons, Benjamin P. Moss and Harrison A. Moss, Guilderland; a sister, Theresa Bravo, Marietta, GA; and numerous nieces and nephews. Alice was predeceased by her husband who died in 2000, a brother, Frank S. Kozloski, Jr., Catskill; and a sister, Helen Hildebrandt, Saugerties. PLEASE NOTE THE SCHEDULE CHANGE: Funeral services will be held in the Hans Funeral Home, 1088 Western Ave., Albany, Monday at 9:00am, and from there to Christ the King Church, Sumter Ave., Guilderland at 10:00am. Relatives and friends are invited, and may call at the funeral home Sunday from 3-7pm. The parish family of Christ the King Church will gather in the funeral home at 3:30 pm Sunday for a service of prayer and remembrance. All are welcome. Interment will be in Our Lady of Angels Cemetery, Colonie. To leave a message of condolence for the family, send a sympathy card, or obtain directions to the funeral home, please visit www.HansFuneralHome.com. Click here to view Alice’s resting place in Our Lady of Angel’s Cemetery, Colonie, New York. So sorry to hear of your loss. Glad you were able to spend time with her. Our prayers are with you. I’m so sorry to hear about Alice. My life is filled with great memories of you all–Patrick’s piggy back rides, Barbara and Lake Taghkanic and of couse, Maryellen. I can still hear Patsy yelling from the bottom of the stairs, “school tomorrow girls” because we were singing songs from Hair as loud as we could and it was time to get to sleep. I was always welcome and well fed-Alice kept a well stocked kitchen. Thank you, Gaw. You will be missed. I’m so sorry to hear of your mother’s passing, but glad that she died peacefully and even more, that you were able to enjoy her 87th birthday with her just a few days ago. I’m sure that will be a treasured memory for you and all your family. May your mother be with you in spirit. You and your family are in my thoughts and prayers. So sorry to hear about your Mother. Glad you were there. Our thoughts are prayers are with you. Please accept our sympathy in your time of sorrow. All of your family here at DEP wish you, your family, and your Mom peace. Sorry to hear about your Mom. Our thoughts are with you and your family. Barbara, So sorry to hear of your loss. My condolences to your family. Please accept my condolences on the death of your Mom. I still remember the day that I was flower girl for your Mom & Dad & looking up to your Mom as she was always so beautiful. I am not able to attend the funeral as I am in Florida but my thoughts & prayers will be with you. I remember the wonderful memories we had on Summit Ave. with all of you and am so grateful your Mom was always there .